To register for SAMLA 91, please click here. To submit a Call for Papers for SAMLA 91, please click here. CFPs will be accepted through May 10, 2019. To review current CFPs for SAMLA 91, please click here. To submit an abstract to the SAMLA 91 General Call for Papers, please click here. To submit a Session/Panel Information Form for SAMLA 91, please click here. To submit a Session/Panel Information Form for the Undergraduate Research Forum at SAMLA 91, please click here. SAMLA encourages members to review the list of external CFPs available on our website. Sponsors wishing to solicit papers from SAMLA members are encouraged to send their CFPs to [email protected] for posting. SAMLA is pleased to welcome the American Association of Teachers of Italian (AATI) to our roster of Affiliated Groups. We are pleased to announce the release of our Spring 2019 Issue. Thank you to all who have submitted your work for review. It is our hope that more members will be doing so as we move ahead. 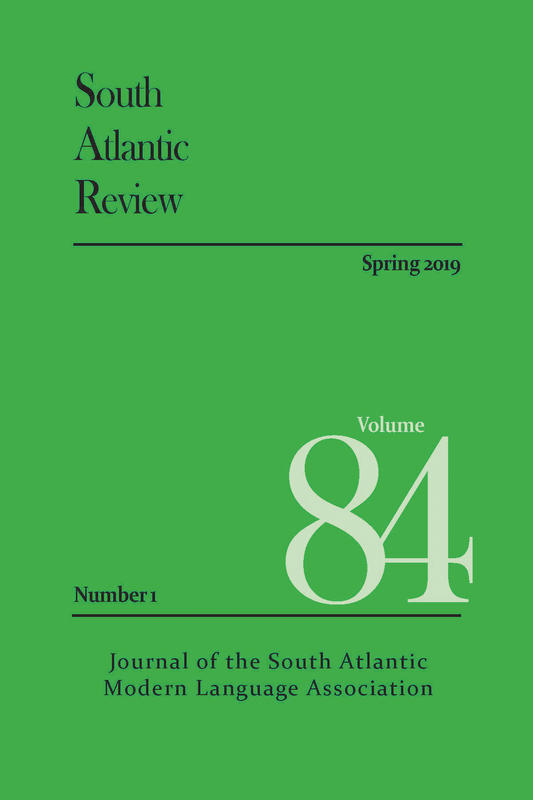 Click here to purchase a limited copy of SAR 82.3 (Special Issue: Judith Ortiz Cofer).